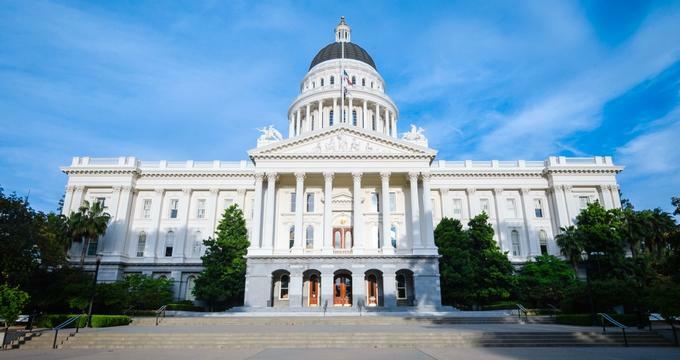 The state capital of California, Sacramento, is set at the confluence of the American and Sacramento Rivers.We’ve rounded up the best of Sacramento’s wedding venues, with options ranging from historic bed and breakfasts that are perfect for intimate events to swanky hotels and outdoor garden venues. Many venues have on-site event coordinators to help you plan your big day. 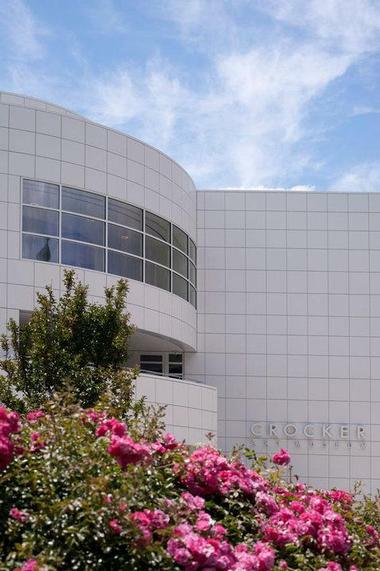 The Crocker Art Museum represents a long history of art and culture as it is the oldest continuously operating art museum in the West. The venue offers two indoor spaces and an outdoor courtyard for ceremonies and receptions and can accommodate more than 300 guests. The museum’s older building has a elegant ballroom in the basement, where many choose to get married. Friedman Court is a more modern venue that is typically used as an event space. Many couples are attracted to this venue because of its unique interior design features such as slate flooring and floor-to-ceiling windows. Paintings and sculptures provide additional points of interest around the room. There is a variety of interesting photo backdrops that can work with either modern or traditional weddings. The Amber House Inn of Midtown is an upscale bed and breakfast that occupies two homes approximately a half block from each other. The homes are both more than 100 years old and provide a wonderful venue for the couple that appreciates historical touches. The small venue can only accommodate 20 guests in their intimate garden. So, it is perfect for couples looking for a private ceremony with just the couple, or the couple and a few friends and family members. The venue does not provide a bridal suite, but you can reserve a room separately to have space for getting ready. The garden is quite lovely and is located just outside of the 1895 Dutch colonial home, making for beautiful photographs from your big day. Wedgewood at the Sterling Hotel is located near the State Capitol and Governor’s Mansion in the middle of downtown Sacramento. The beautiful historic building was constructed in 1894 and features a spacious porch and gorgeous Victorian architecture that looks stunning in photographs. There are multiple spaces throughout the venue that can be used for your wedding, including the newly renovated 3,500-square-foot Sterling Ballroom, the outdoor patio, and the dining room. The space can be used for up to 200 guests but can also work great for more intimate events. This venue is perfect for those who want a luxurious wedding with a touch of history. The California Automobile Museum is an auto museum with more than 150 examples of classic cars, muscle cars, racing cars, and early automobiles displayed across 72,000 square feet of sprawling museum space. The museum has several spaces that they rent out for events. The most popular for weddings and receptions is the Alhambra Events Area. The space is 6,400 square feet, can seat 350 guests, and can be set up in a variety of configurations for weddings or receptions. Some of their cars are also available for rent if you’d like to drive away in a classic car from your wedding at the museum. Studio 817 is one of the newer event venues on our list. The venue is conveniently located right in the middle of Sacramento, just across the street from the Governor’s Mansion. The space is divided into two connected event spaces, with the largest accommodating 150 guests with a dance floor. There is a gorgeous outdoor patio, and the 12-foot roll-up windows can open the space up onto it. 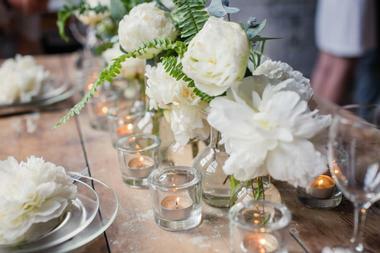 For smaller events, the Petite Studio is a great option. It can be used for receptions or ceremonies with up to 30 guests, or alternatively you may book it together with the larger space and use it for a bar and lounge set-up. 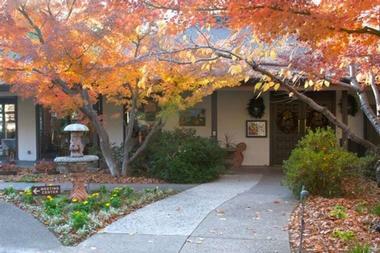 Courtyard D’Oro is a banquet facility in the middle of historic Old Sacramento. The tree-lined courtyard is beautiful with historical touches. It sits near more than 50 historic buildings and a multitude of hotels for added charm and convenience. The venue is full service, meaning that they have a multitude of different packages that include many aspects of your wedding day. They do require that you use their on-staff servers, beverage servers, and chef but guests rave about their experience. The event planners at Courtyard D’Oro are well experienced with arranging personalized services for every aspect of your day. Arden Hills Club & Spa is a uniquely upscale bed and breakfast resort that is housed in a Tuscan-style villa. 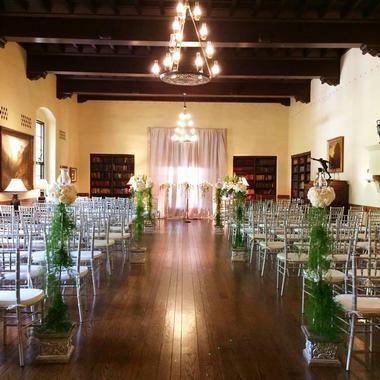 The venue has been hosting weddings for more than 60 years and has won many awards as one of the best places to get married in Sacramento. There are numerous event spaces that can be reserved, including three ballrooms, two beautiful courtyards, and the bed and breakfast for spending the night. There is also an on-site salon and spa where you can get pampered before your ceremony. For your dining needs, there is an amazing on-site culinary team that can help you develop a delicious menu for your reception and there is also a variety of service professionals to help in other ways. Beatnik Studios is an art gallery and event venue occupying a converted warehouse space with exposed brick and high ceilings. There’s always art on display since the gallery hosts different shows, adding a unique aspect to holding an event here. The venue can accommodate fairly large groups and the art walls are moveable to make for plenty of open space. Beatnik Studios is flexible with regard to who you hire to provide different aspects of your wedding. Thus, there are no corkage fees and you are welcome to hire an outside caterer. You can hire your own photographer as well but they offer nice package deals should you choose to work with one of theirs. Bella Vista Bed & Breakfast is a luxury European-style bed and breakfast located on 5 acres of property. The name Bella Vista means beautiful view and you will quickly see why the property’s original owners chose to call it that. 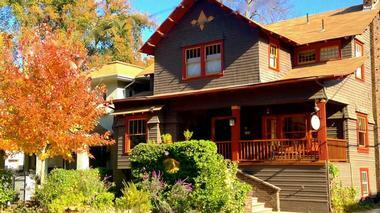 The B & B sits on a hillside with views of the Coloma Valley and the American River’s South Fork. The property has five choices for wedding ceremony and reception sites. 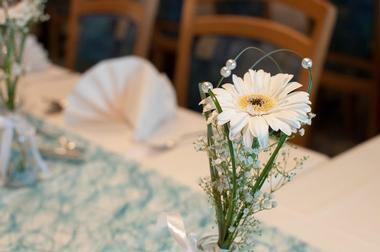 They offer a variety of wedding packages, which include chairs, linens, clean-up, and more. 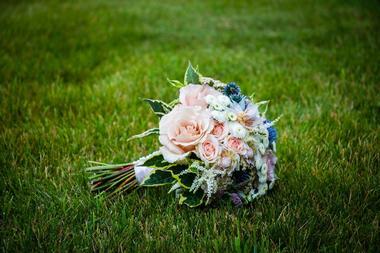 They can also help connect you with vendors to provide the other items you need for your perfect wedding. The California Museum is a museum featuring exhibits related to history as well as the California Hall of Fame. Some of the museum’s most significant exhibits include California’s Remarkable Women, California Innovates: The Computer Chip, and Uprooted: The Japanese Experience during World War II. The museum is located inside the State Archives building and has more than 30,000 square feet of indoor and outdoor space available for event use. The venue has spaces that can be used for everything related to your wedding, including the ceremony, rehearsal, bridal shower, bachelor and bachelorette parties, and more. There are all-inclusive packages available to help make your planning as easy as possible. Capitol Plaza Halls is a beautiful building located in the center of downtown Sacramento near the State Capitol, City Hall, and the Sacramento Convention Center. 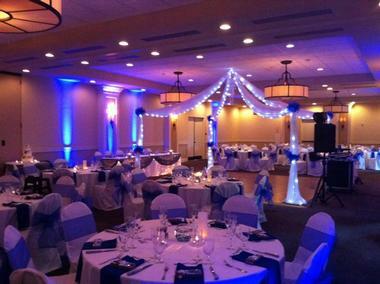 The Capitol Plaza ballrooms are available for use for weddings. They feature unique touches like hand-painted ceilings from the 19th century, to add a touch of luxury and history to your wedding. The Grand Capitol Plaza’s ballrooms can host groups from 50 to 1,000 guests, making it one of the most versatile venues on our list as well as one that can accommodate the largest groups. They have an exquisite on-staff culinary team that can help you perfectly craft a menu for your reception as well. Casa Garden Restaurant & Event Venue serves upscale American dishes in a beautiful location and is available for private events. The venue is great for small to medium garden weddings. For many decades, couples have been getting married on the Casa Garden terrace. The setting is absolutely gorgeous with wispy ferns, tall trees, and an intimate, private atmosphere. There are separate dressing rooms for the bride and groom and each wedding gets exclusive use of the venue so you don’t have to worry about strangers passing through. The restaurant is known for its delicious food, and you will not be disappointed with the spread. They can help develop a menu to meet your needs, showcasing fresh, seasonal ingredients from the Sacramento area in their contemporary American fare. The Croatian-American Cultural Center was established in 1976 as a community center and charity within the Croatian community. 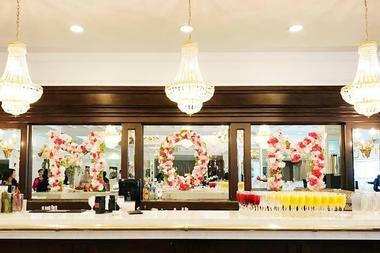 They have several event spaces that can be rented for private functions including weddings. The spaces you can choose from include a gorgeous Mediterranean-style banquet hall, an outdoor stage, and spacious outdoor grounds. They offer on-site catering with several options of buffet menus to choose from for your event. The building and outdoor features have an air of beauty and romance, perfect for a romantic couple looking to celebrate their love for each other. 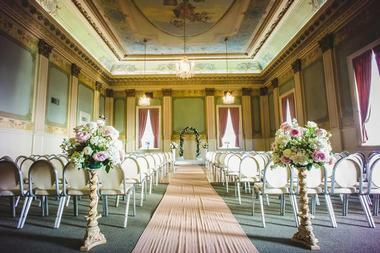 The venue can accommodate weddings of up to around 200 guests. Set in the middle of Old Sacramento, the Delta King Hotel occupies a restored riverboat dating from 1927. The riverboat is docked in the Sacramento River and features cozy and luxurious staterooms with classy furnishings and beautiful views of both the river and the city. Getting married on a 90-year-old riverboat is sure to be a unique and memorable experience and the staff at the Delta King go out of their way to make sure everything is perfect. They have professional event coordinators on staff to help you choose from their wedding packages. 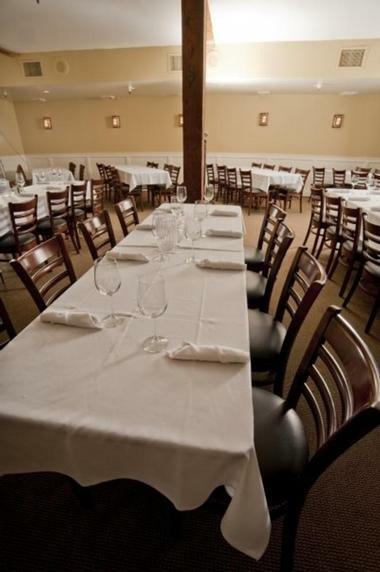 The Delta King can be used for rehearsal dinners, ceremonies, receptions, and other wedding-related events. The Depot Park Conference Center is largely used as a reception venue with a grassy outdoor space that some choose to use for ceremonies. The space is not your typical wedding location as it is a conference center, however the space is well-kept, modern, and clean. The venue can accommodate up to 250 guests and is quite affordable when compared to many other venues on our list. The venue is convenient for guests to access as it is close to downtown Sacramento, South Sacramento, Elk Grove, and the American River Parkway. They have an on-site event coordinator who will work hand in hand with you as you plan your event at the conference center. 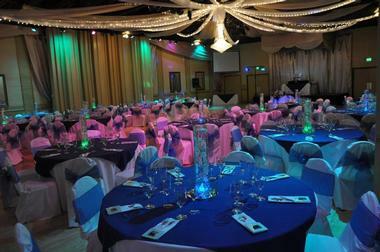 The Flamingo Banquet Hall is a popular chain of event venues with three locations in California. They offer a wide range of customizable options for your wedding, including a delicious menu featuring multi-ethnic cuisine. 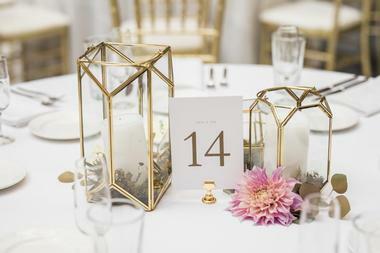 They also have a large number of services on site so you can streamline your wedding planning. Details such as centerpieces, cake tables, chairs, linens, alcohol, servers, food, photography, and videography can all be arranged under one roof. If you’d like to get married elsewhere, Flamingo Banquet Hall offers off-site catering and rentals as well, featuring a range of international dishes with a strong emphasis on Indian flavors. The Pagoda Building is a banquet hall and meeting space that is used for a variety of private events and parties including weddings and receptions. There are four unique levels that can be used for events. Each has its own theme and unique furnishings. Each floor of this distinctive building is lined with windows and offer scenic views of the State Capitol, the downtown skyline, and a city park. If you’d like to get married outside or have an al fresco reception, you can choose to have your ceremony or reception in the charming Asian-themed courtyard or on the outside patio. However, if you’d like to dance the night away with stunning views of the city lights, booking the Sky View level may be more your fancy. 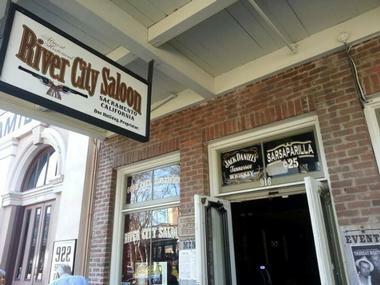 The River City Saloon is an old-school Wild West-style saloon that serves Old West sarsaparilla and deli sandwiches and often plays sports and features live bands. The saloon has long been a mainstay in historical Old Sacramento and many interesting historical figures have passed through the doors. The saloon offers event services, including hosting wedding receptions. They don’t charge a penny for use of their event space, making it a great option for those who are on a budget and want to infuse their event with a little Sacramento history. Your guests are sure to feel as if they have stepped back in time to the Old West. Scott’s Seafood on the River is a fine dining restaurant that offers a sophisticated dining experience including delicious seafood and a gorgeous terrace with views of the river. The restaurant is part of the Westin Hotel and as such couples can choose to get married in one of the Westin’s fabulous event spaces and host their reception at Scott’s. 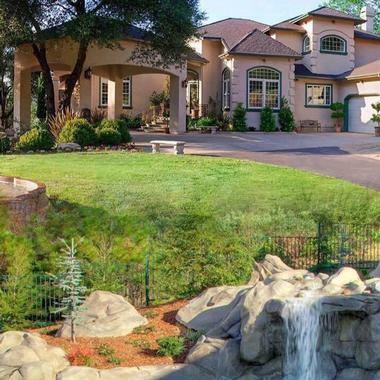 The venue is conveniently located just minutes from downtown Sacramento. 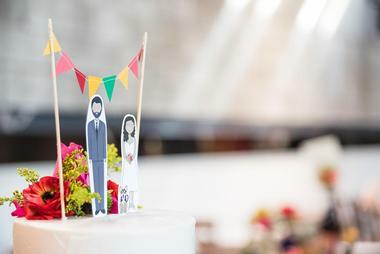 The Westin has a wedding coordinator on staff who can help you arrange all of the fine details of your wedding, including choosing from one of their specially crafted wedding packages. 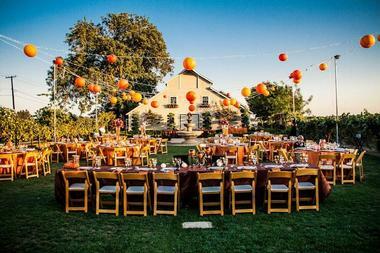 Scribner Bend Vineyards are conveniently located just 15 minutes from downtown Sacramento but they seem a world away with their romantic and picture-perfect setting, historic touches, and plenty of elegant features for a beautiful and romantic wedding. They have converted a barn from 1918 into a lovely tasting room with a beautiful event space. Guests can also get married outdoors in the vineyards and have their reception in a 3,000-square-foot tent with attached courtyard. For added comfort and luxury, you can rent their three-bedroom bungalow for use as a bridal suite. 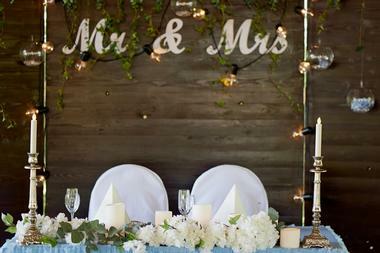 The venue can accommodate groups up to 225 guests but it is intimate enough for small weddings as well. The Sutter Club is a venerable Sacramento institution; it is the second oldest private social club in California, founded in 1889. In addition to being an exclusive social club popular among lawmakers, governors, and businessmen, some of the most amazing weddings in the city are hosted at the Sutter Club. Members and non-members are both welcome to use the space for a special event. The menu features the same farm-to-table dishes that have made the Sutter Club famous throughout the years. Your event can also include beverage service with craft cocktails and a selection of delicious wines. 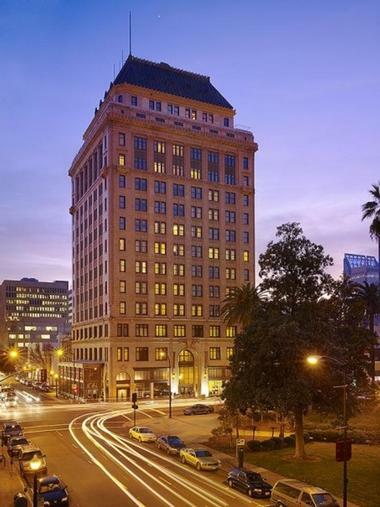 The Citizen Hotel is an elegant hotel that sits in a great location near the State Capitol and Cesar Chavez Plaza Park. The venue’s gorgeous 7th floor Metropolitan Terrace is unmatched in the area and there are several other elegant spaces that can be used for ceremonies and receptions. 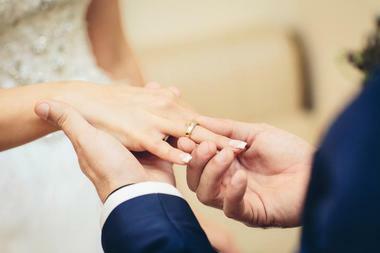 There is a variety of wedding packages available and each wedding will be assigned a dedicated wedding concierge to help curate the perfect package for your big day. Each and every package includes menu tasting for four guests, cake cutting, champagne, tables, chairs, linens and china, a bartender, and a guest room for the happy couple on their wedding night as well as a complimentary room on their first anniversary. 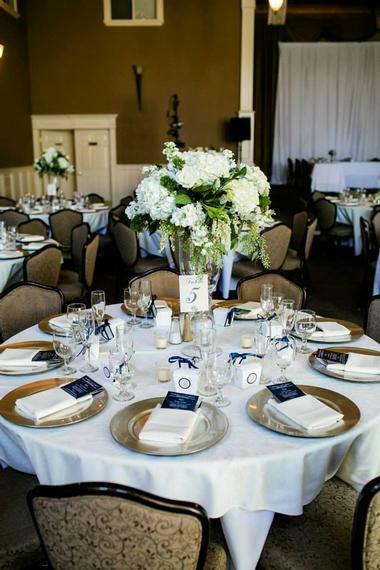 The Pavilion at Haggin Oaks is a great option for those who love golf or simply want to have an elegant outdoor wedding in a stunning location. The venue has three different outdoor ceremony areas as well as a large white tent for receptions, ceremonies, or other events. With the 18-hole Alister Mackenzie golf course as your backdrop, you will not be able to resist taking some photos on the course. 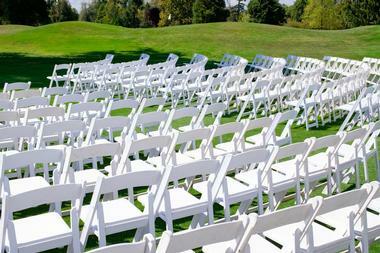 You won’t have to worry as wedding parties are afforded unlimited access to the course for photographs. The on-site event and catering staff work hard to make sure that every event they host is exactly what the couple had in mind. The Uptown Ballroom is a popular event venue that is often used for quinceaneras, anniversary parties, and other events and of course for wedding ceremonies and receptions. The venue offers a long list of amenities for couples who choose to book their space here. Events include an event coordinator, who will organize all of the details to make your day truly special. Additional amenities include dressing areas for the bride and groom, a dance floor, theatrical lighting, tables, chairs, linens in more than 40 colors, a prep kitchen, plenty of parking, a DJ, a ceremony arch, and projector screen, among many others. Vizcaya Sacramento is a stunningly elegant bed and breakfast that is frequently used for events and weddings. The venue includes beautiful gardens and grounds around the Mansion Bed and Breakfast and a unique pavilion that can also be used for events. They have a selection of delicious menu choices that are perfect for any occasion. They offer full-service wedding hosting, which includes a long list of unique amenities you will not find elsewhere as well as a list of wonderful event spaces to help you pull off your dream wedding. One highlight of hosting an event at Vizcaya is that you can bring your own liquor, wine, and beer without paying a corkage fee.